Karina's Kreations: Stampin'Up Metallic Glitter Tape Card! 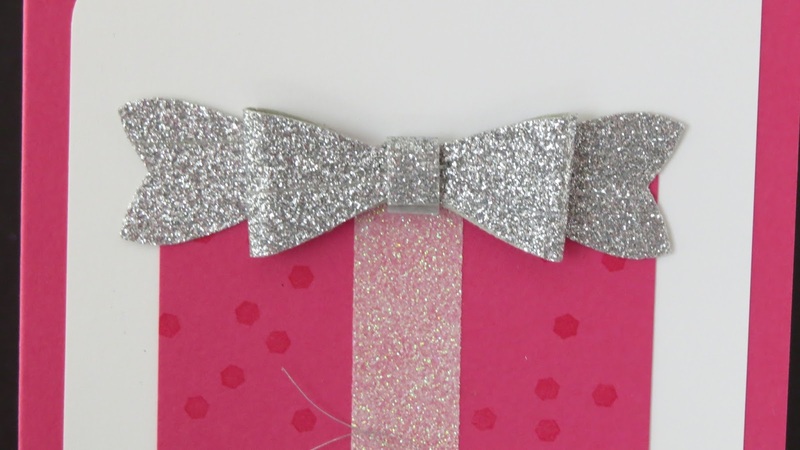 Stampin'Up Metallic Glitter Tape Card! 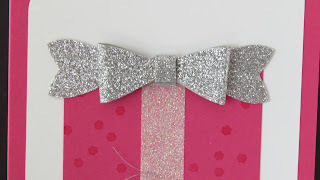 I did a presentation a few weeks ago on 8 ways to use Stampin'Up Metallics glitter tape. The glitter tape is free with a $60.00 order and comes in 3 colors gold, silver and white. I made a video showing the 8 different ways to use the glitter tape. I wanted a proper card to put my silver bow on and came up with this design. I used the Bow Builder Punch to make the bow, the Tags and Labels framelits for the greeting and the Sale-a-bration stamp set Party Pants for the greeting.